Gingerkabureck had been a yo-yo dieter for most of her life. 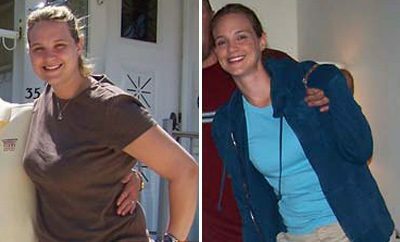 She tried diet supplements, pills, and liquid shakes – you name it! She would lose the weight, but then pile it back on again after slipping into her old habits. Then she stumbled upon Calorie Count and found that it suited her perfectly! 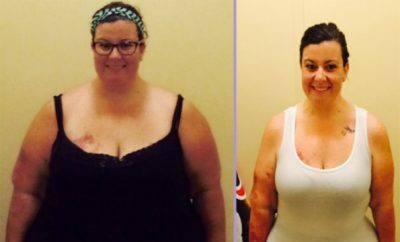 She has successfully lost over 100 lbs and loves her new-found confidence and energy. My story begins way back when I was 11 and in the 4th grade; I went to a doctor visit and was told that I was overweight (at 125lbs) and needed to go on a diet. I didn’t listen. I ended up weighing around 200lbs by the time I was 18 and never tried doing anything about it. 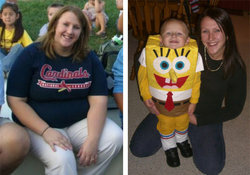 When I was 22, I got pregnant and ended up topping the scale at 276.8 the day before my son was born. The next few months were hectic and I didn’t think much about dieting. What opened my eyes to my severe obesity was not being able to do general tasks such as walking up a flight of stairs or walking my dogs. I went to a St. Louis Cardinals game and had to squeeze into the seats… That’s when I knew it was time for change! I did things all the wrong way. I tried Metabolife, various diet pills and Slim Fast. 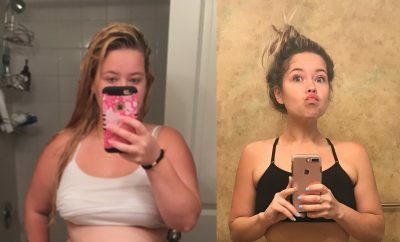 After losing a couple of pounds and then gaining them right back, I decided I needed to figure out a healthier and permanent way to lose weight. After doing some research on the Internet, I stumbled upon CC and that is where my weight loss journey truly began. 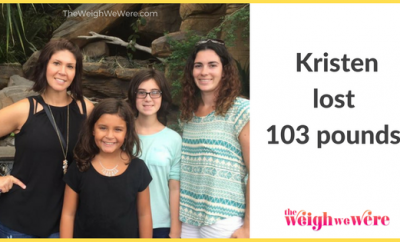 I learned how to count calories and incorporate exercise into my crazy busy life… it can be done! Instead of going out to lunch, I’d pack a salad and snacks. My “snacking” consisted of veggies and fruits. I began making healthy dinners rather than ordering pizza. After a few months, I vowed to never eat fast food again. Small changes in my everyday life began to show when the numbers on the scale decreased and I felt alive again. I was able to vent my frustrations with my scale to my Calorie Count buddies and that’s the best part. Calorie Count also gave me a place to log my foods and weight, learn more about calorie counting and keep track of others who were in this journey with me. Each day brought new challenges. Yes, weight loss is slow, but if you do it the right way, it is permanent. I had to lose weight in a way that made me happy. When trying diet pills and restricting my calories, I was not happy. I would do good for a few days and then jump off track and pig out. I had to learn how to eat enough and exercise enough to keep my body and mind happy. It’s a slow learning process and a lot of trial and error, but in the past 2 years I have successfully lost 100lbs! For the first time since before I was 11, I can say that I am healthy! When I reached my main goal of losing 100lbs. Considering this has been a lifestyle change and it has taken me 2 years to really change my life, I don’t think a relapse is even an issue! The big change is that I am now mentally, physically and spiritually healthy. I am able to inspire others to do something I had no idea I could even do myself. until your workout is complete. Weight loss is slow, but if you do it right, it’s permanent. Don’t underestimate the power of CC’s support!!! 103 Pounds Lost: 103 lbs lost after quitting smoking!!! !